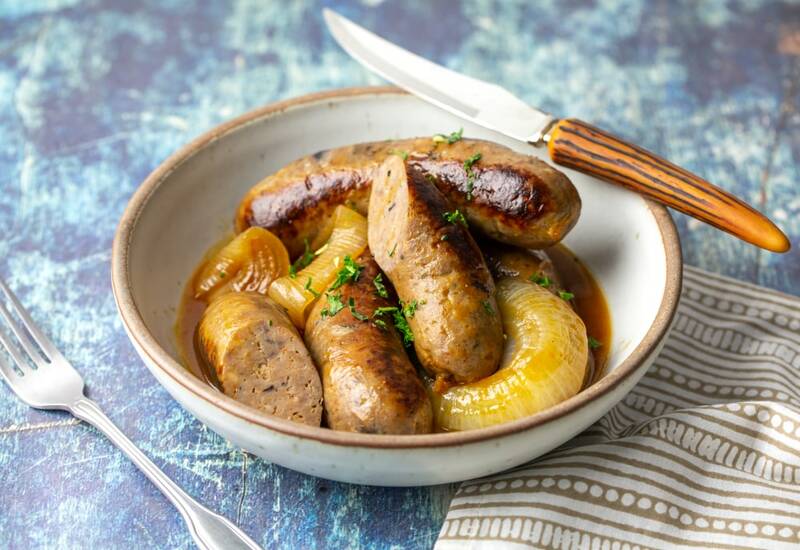 Summer sausages are browned in the pressure cooker and then cooked under pressure with barbeque sauce and onion creating a very quick and easy meal. Make this meal on busy weeknights and serve alongside cauliflower rice for a grain-free meal or white rice for a gluten-free meal. Heat olive oil in the inner steel pot of pressure cooker set to Sauté on Normal. Sauté sausages, working in batches, about 2 to 3 minutes per side. Mix water and barbeque sauce together in a bowl; add to pressure cooker. Place onion slices in the pot along with all the sausages. Lock pressure cooker lid in place and set steam vent to Sealing. Select Pressure Cook (Manual) and cook for 5 minutes on High Pressure. Pressure Cancel. Turn steam vent handle to Venting to quick-release pressure. Remove lid. If you are following a strict gluten-free diet, be sure to read the label on the barbeque sauce. Many prepared barbeque sauces include soy sauce in the ingredients, which is not gluten free. Add garlic with the onion for extra flavor. Per Serving: 175 calories; 8g fat; 21.1g carbohydrates; 5g protein; 20mg cholesterol; 674mg sodium. First time cooking sausage in my pressure cooker and I love it! Perfectly cooked meat without having to babysit a pot of boiling water. I really love the vinegar and sweet flavors the barbecue sauce adds. Perfect for game day or weeknight dinner. I love summer sausages and I used this recipe with my secret homemade barbecue sauce to make them in my MultiPot. I used shallots and added garlic for extra flavor. Very delicious!